Initial payment of £1,554 inc VAT followed by 35 monthly payments of £259 inc VAT . Based on 10000* miles per annum. 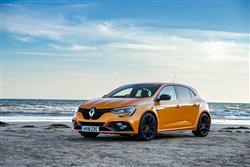 Renault continues to retain its place amongst the hot hatchback elite with this revitalised Megane R.S. 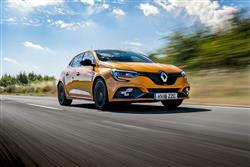 The headlines include the addition of a 4Control 4-wheel steering system, plus a more powerful 1.8-litre engine putting out at least 280bhp. There's a five-door bodystyle this time round and you can now get paddleshift auto transmission if you want it too. 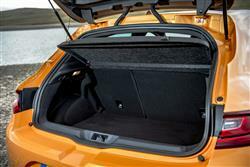 As before, standard 'Sport' and uprated 'Cup' chassis options present buyers with an interesting choice. We British love our hot hatchbacks. While other European nations are left cold by the prospect of a compact family car that could make a Ferrari look silly on a race circuit and reach licence confiscation territory a matter of seconds after idling at the traffic lights, UK buyers go crazy for anything with the right mix of letters like G, T, R, V and S in its title. 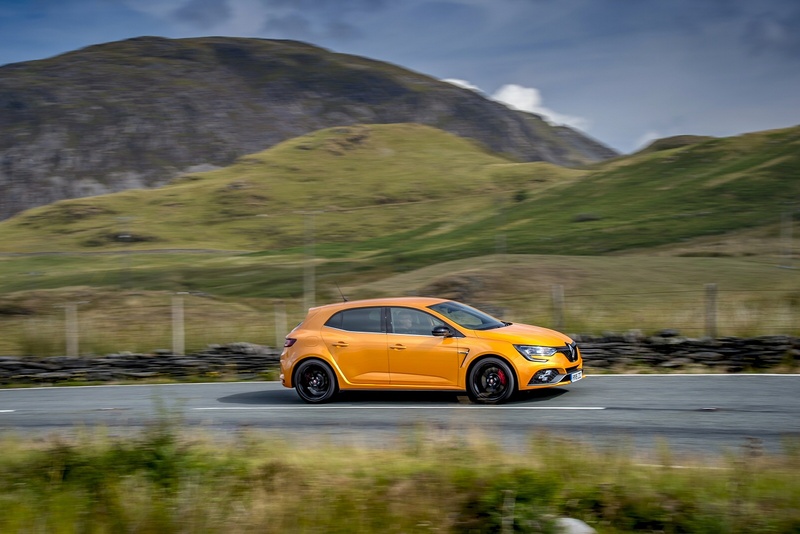 Renault has capitalised on this fascination better that almost any other manufacturer in recent years, its Dieppe factory churning out a whole series of Renaultsport models which have hopped across the Channel to beguile the UK's enthusiasts. 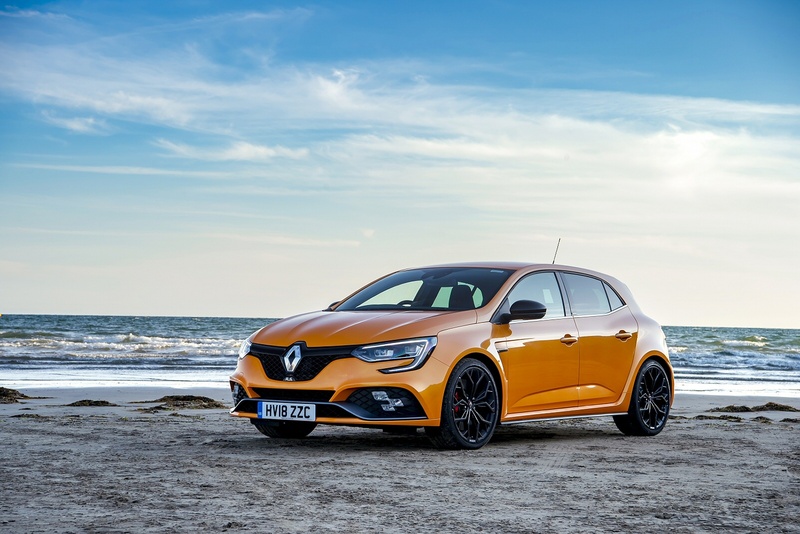 This third generation Megane Renaultsport is the latest in that line. 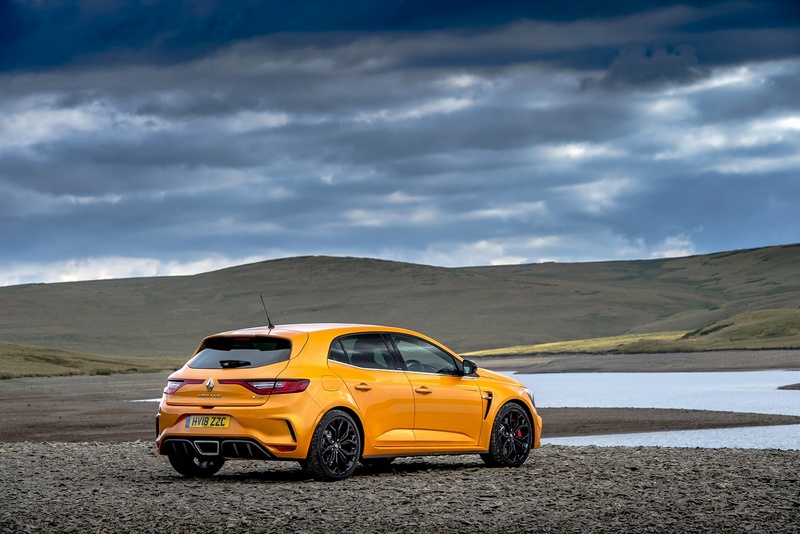 Most class-leading hot hatches - Golfs, Focuses and so on - are great because they build on the established dynamic excellence imbued into the standard models upon which they are based. In contrast, for all its many virtues, an ordinary Renault Megane would, you'd think, never be a car likely to sire something sensational. Yet with this Megane R.S. the Dieppe division engineers claim to have managed to deliver just that. Have they worked their magic once more? Let's find out. Much has changed here and it's all still brilliant. Under the bonnet, the world's most powerful 1.8-litre engine delivers 280hp and 390Nm of torque. You can also talk to your dealer about a top 'Trophy' version with 300bhp. Either way, you'll be able to get all that grunt onto the tarmac a little more easily this time round thanks to standard '4CONTROL' four-wheel steering that aims to ensure stability at high speeds and agility at low speeds. At high speeds, the front and rear wheels turn in the same direction, limited to a one degree angle for the rear wheels. At low speeds, the front and rear wheels turn in opposite directions up to a maximum angle of 2.7 degrees. The ride's improved too, thanks to all round hydraulic bump stops that also enable optimum control of tyre-ground contact. In the manual model, 62mph from rest takes 5.8s en route to a 158mph maximum. What else? Well the option of an Efficient Dual Clutch (EDC) auto gearbox is available for the first time, alongside a manual transmission. And two different types of chassis are on offer - 'Sport' or 'Cup'. The Sport chassis provides easy sporty driving, whilst the Cup chassis offers greater, more focused performance for track and fast road use. If you favour the 'Cup' variant, you're the kind of buyer who'll probably be interested in the 'S. Monitor Expert' system that allows drivers to film their track sessions and overlay telemetry data to create augmented reality videos that can later be analysed on a provided 'R.S. Replay' website. Some previous Renaultsport products have looked rather Max Power, a boy racer image that customers with around £30,000 to spend would generally rather avoid. Hence a look that's classier than anything the French brand has yet provided to the hot hatch market. There's a single five-door bodystyle, though with enough styling changes to make it feel a very different product, both inside and out. In your driveway, it'll certainly appear purposeful. The front bumper incorporates a Formula 1-style blade, a wide air intake and a diamond-patterned front grille. At the side, extractor vents are located behind the front wheels. And at the back, there's an aggressive lip spoiler with body-colour vertical mountings designed to generate greater downforce. Plus there's a rear bumper incorporating a centrally-positioned exhaust pipe and a working diffuser designed to negate lift at higher speeds. 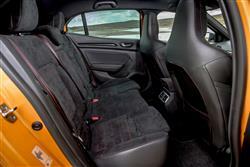 At the wheel, the driving position is brilliant, aided by the fact that you can position the seat nice and low. 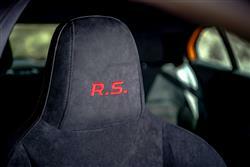 There are sports front seats with integrated head rests, as part of a predominantly charcoal grey cockpit with red top-stitching. Buyers get a choice of two upholsteries ('carbon fibre weave' or Alcantara) and a bespoke aluminium pedal and gear lever. 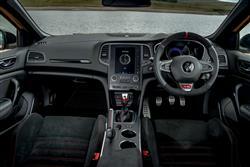 The core decision that all Megane R.S. buyers must take is whether to go for the standard 'Sport' chassis or the firmer, more focused 'Cup' set-up - which costs a little more. If you want to go even further, there's also a top 'Trophy' version with 300hp. 'Sport' model prices start from around £27,500. Add £1,700 more for EDC paddleshift auto transmission. The 'Cup Chassis Pack' costs £1,500 more. Ultimately, it'll be a matter of taste depending on how eager the individual customer is to extract the most from the car's engine and handling package. A six-speed manual gearbox comes as standard and so does ESP stability control which can be completely disabled at the touch of a button should owners feel like exploring the car's limits of grip. A paddleshift EDC auto transmission is optional and includes a 'Launch Control' mode for optimised getaways. Standard kit across the range includes the brand's new 'R.S. Vision' lighting system and a 'Multi-Sense' driving modes system with 'Sport' and 'Race' settings that can be accessed by a shortcut 'R.S.' button. Also standard is the '4Control' 4-wheel steering system, a special 'PerfoHub independent steering axis front suspension system and a Torsen limited slip differential, all these things combining to improve cornering. Plus you get powerful 355mm front brake discs with Brembo calipers. This Megane R.S. is actually more efficient than you might expect. The car can return 39.7mpg on the combined cycle and will emit 161g/km CO2 in manual form (11% better than before) which will make it reasonably affordable to run. For the alternative EDC auto variant, the figures are 40.9mpg and 155g/km. Another aspect of purchase that should please you lies in the fact that you won't be fobbed off with the basic three year / 60,000 mile warranty that most rivals offer. All Meganes come with a much more complete four-year / 100,000-mile warranty that includes emergency breakdown recovery. There's also three years' worth of European cover as part of this package. 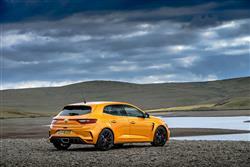 If you�re looking for a new Renault Megane R.S. 1.8 280 5dr Petrol Hatchback for sale, you�ve come to the right place. 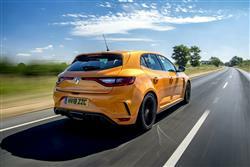 At Bristol Street Motors we don�t just have the best Renault Megane R.S. 1.8 280 5dr Petrol Hatchback deals, we also offer friendly advice and help with all your enquiries to ensure your buying experience is a happy experience.